ASKOs environmentally friendly kitchen and laundry appliances showcase the hallmarks of Scandinavian design contemporary minimalism and quality manufacturing. ASKO dishwashers feature a variety of washing options and adjustable baskets to perfectly clean delicate glassware through to large pots and pans. The Quick Pro Wash program is a real time saver in the kitchen and gives you spotless dishes in as little as 15 minutes! The Turbo Drying Express™ feature shortens drying time by up to 30 minutes. ASKO dishwashers are sleek, elegant and durable. Available in integrated and built-in styles - there's one to suit every kitchen design. ASKO convection ovens, pyrolytic ovens, combination steam ovens and combination microwave ovens are packed with innovative, easy-to-use features. ASKO ovens feature an easy-to-use display featuring metal dials, illuminated touch keys and a clear display designed to make cooking easy and enjoyable. ASKO ovens are available in a stainless-steel finish for a timeless look that will suit any kitchen design as well as an on-trend Graphite Black finish guaranteed to make a real style statement. ASKO has the perfect cooktop whatever your cooking style. Choose from innovative induction cooktops or a gas cooktop available in stainless-steel and modern black finishes. ASKO induction cooktops provide quick and precise heating using the six auto programs, are easy to clean and are safe to use as heat is only generated when a pan is one the cooktop. ASKO gas cooktops offer energy efficient cooking, feature a logical layout with the wok burner located to the side to maximise free space, and are easy to clean. 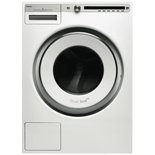 ASKO front load washing machines, heat pump dryers and condenser dryers combine minimalist Scandinavian design with functional features for exceptional results. ASKO washing machines are energy and water efficient and come with a host of features that look after your clothes for effortless cleaning. ASKO heat pump and condenser dryers feature a Soft Drum™ for better air circulation and a selection of drying programs to suit different clothes and fabrics. Wok fried chicken with snow peas and oyster sauce using the ASKO Gas Cooktop. Roast beef fillet with red wine glaze made with the ASKO Steam Oven and Induction Cooktop. Discover the benefits of using an ASKO Combi-Steam Oven. Beef carbonnade flamande made using the ASKO Induction Cooktop. Stage cooked roast chicken made using the ASKO Steam Oven and Induction Cooktop. Steamed fish with ginger and shallots. Steamed fish with ginger and shallots made using the ASKO Steam Oven. ASKO's innovative appliance design began with one young Swedish farmer's quest to create a water and energy efficient washing machine for his mother in the 1950s. The results of his handiwork were extraordinary. A world-class engineering and manufacturing facility was soon built on the family farm and today ASKO is an environmentally conscious company that designs and manufactures high-performing kitchen and laundry appliances for lasting durability.